Western New Mexico University, founded in 1893, is a public, multipurpose university. 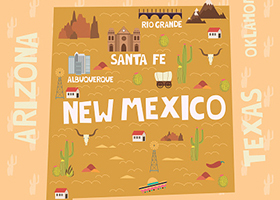 Its 80-acre campus is located in Silver City, in southwestern New Mexico, 100 miles from El Paso. 80-acre campus in Silver City (population: 9,647). Served by air; major airport serves El Paso, TX (150 miles); bus and train serve Deming (50 miles). Public transportation serves campus.